It needs to be rendered first & then may be you can stream it through OBS. Do this work with OBS Software (livebroadcast software)? Can each of the scenes be extended for time purposes? In other words, if I wanted the main shot (steady shot or closeup shot) to last for say 45 seconds, and then go to the other for 90 seconds – can this be modified in AE in the template? I know AE well, but just wanted to make sure these elements can be changed? Thanks! Great template! 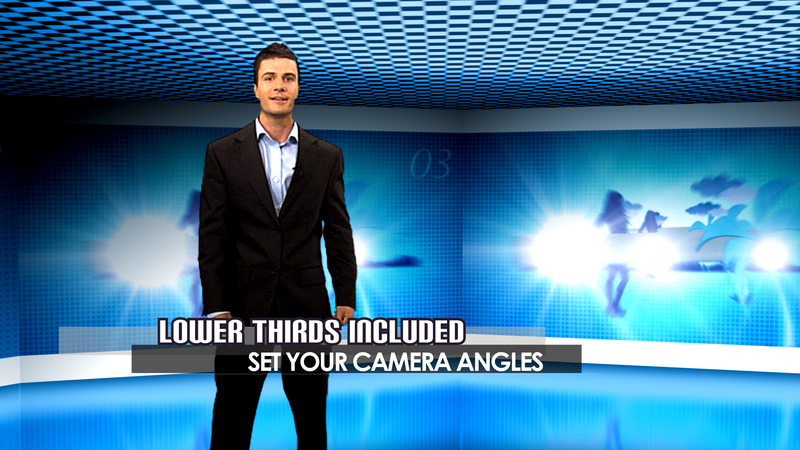 Thanks Jim, this project includes different comps with different camera angles. Just select your presets (comps) drop your media and then drag all your comps in your final comp’s timeline. Max duration for any given comp is 3 minutes. If required, change the camera angle as per your need for each comp. Hi paul, thanks for your comments, OK simply delete the key-point from the layer ‘base revolve’ at a point where you want the screens to be stopped.